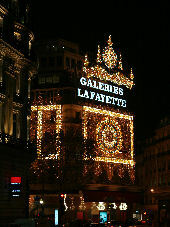 In this month's Paris Insights, we explore the grand department store Galeries Lafayette. Its animated window displays are a delight for children and adults alike. And the giant Christmas tree standing under the cupola is a marvel to behold!